Jakarta is a huge city and it spreads almost 300 square miles. It is the capital of Indonesia and offers many attractions for tourists. It doesn’t matter if you’re in Jakarta for the day or even weeks at a time, there are many attractions that are sure to piqué your interests. Jakarta’s deep history with dictators and Dutch Colonial Rule have all contributed in making the city a wonderful, fascinating place. There are several attractions that shouldn’t be missed on a trip to the city. Be sure to check out some of these places below to make your trip to Jakarta a bright and enlightening experience. This museum is 200 years old and a national symbol of Indonesia. It is located at Jalan Medan Merdeka Barat in center of Jakarta city and offers many attractive exhibits that will leave you wondering why you never made the trip before. The museum is known as the Elephant Building because of an elephant statue located on the grounds. Ancol Dreamland is a popular attraction for tourists, it was established in North Jakarta in 1966 and has been amazing people young and old ever since. 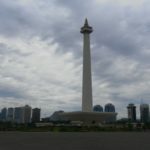 It is the largest and most interesting park in Jakarta and offers activities and attractions that will please everyone in your group. The fun goes 24 hours a day so don’t worry about getting there at a particular time. A few of the more popular attractions are a golf course, hotels, nightclubs, a theme park, and swimming pools. Ragunun Zoo was the first zoo in Jakarta and was established in 1864. The zoo sets on 140 acres in South Jakarta and has a collection consisting of 295 species and 4040 specimens. This is a great attraction for whole family young and old. Jakarta’s street market in Pasar Baru is one the few pedestrian friendly places in the whole city. There are many local merchants selling watches, vintage fashion apparel and many other goods for as low as 1$ USD. Be sure when shopping the markets to indulge in one of the food vendors for authentic Indonesian cuisine you won’t find anywhere else. Jakarta is a beautiful city to visit and explore, be sure on your next visit to check out some of the attractions listed above. These are just a few of the many must see and do things while on holiday in Jakarta. ← Cuba: What is a Casa Particular?